Frances Lincoln in association with Amnesty International have published We are all born free . This fine publication celebrates in pictures the 60th anniversary of the sigining of the Universal Declaration of Human Rights. There will be an interesting article by Judith Escreet Art Director at Frances Lincoln giving the background story to the project in the next issue of Carousel. 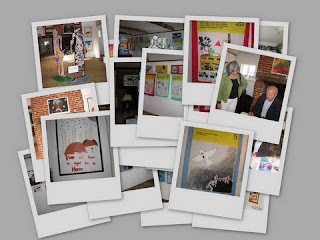 Halesworth Arts Festival school project was based on this book with Jane Ray and Amnesty Art worker Dan Jones going into Suffolk schools and resulting in a splendid exhibition. Open weekends during October at the Halesworth Art Gallery...see www.halesworthartsfestival.org.uk for details of opening times. The banners created will be moving to London and will be on show during workshops led by Amnesty at the British Library and the Imperial War Museum - contact both venues for details.